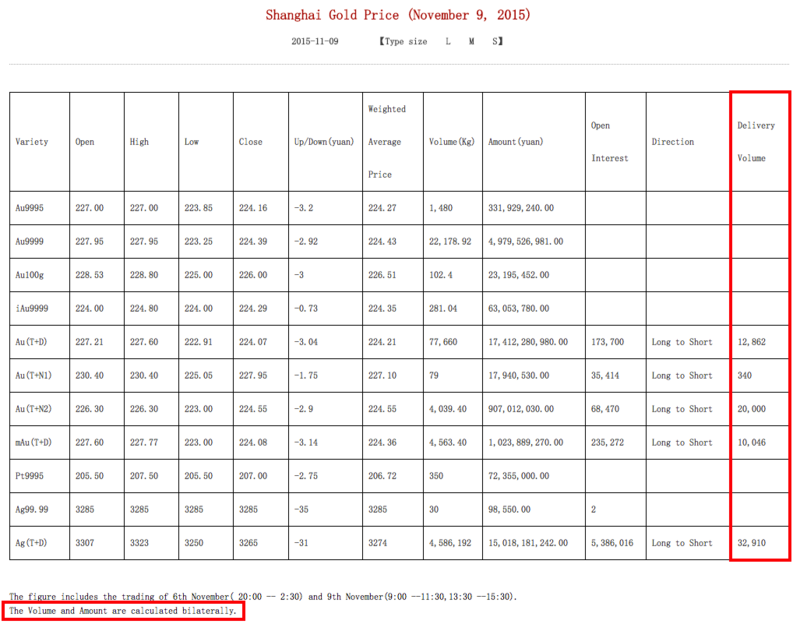 Withdrawals from the vaults of the Shanghai Gold Exchange, a number by which we can measure Chinese wholesale gold demand, accounted for 47 tonnes in week 42 (26 – 30 October 2015). Strangely, this is a weak number if we compare it to the rest of this year. 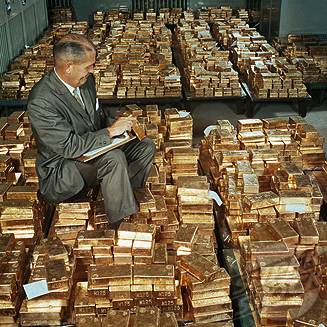 Still, 47 tonnes of gold equals 47,000 one-kilogram bars, or 3,760 London Good Delivery bars – withdrawn from the vaults in just one week. Year to date, an astonishing 2,165 tonnes of gold have been withdrawn from the vaults. 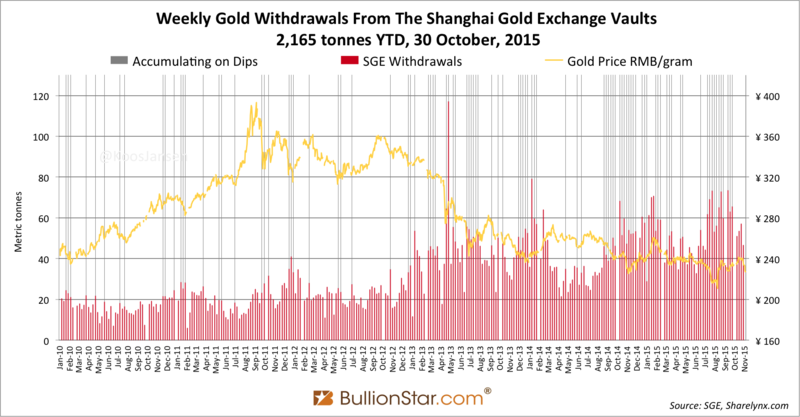 The yearly record for withdrawals from the vaults of the Shanghai Gold Exchange (SGE) stands at 2,197 tonnes, set in 2013. Probably this record has already been surpassed by 6 November, though the numbers have yet to be released on 13 November. 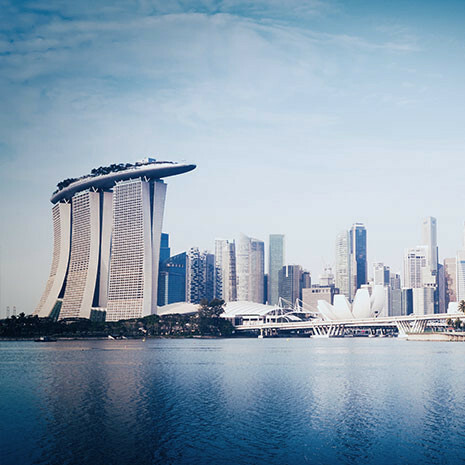 With 8 more weeks left on the calendar SGE withdrawals are set to reach 2,680 tonnes in 2015. This year’s strong SGE withdrawals have likely been supplied by a higher share of recycled gold than in previous years, which doesn’t mean Chinese gold import was not robust in recent months. 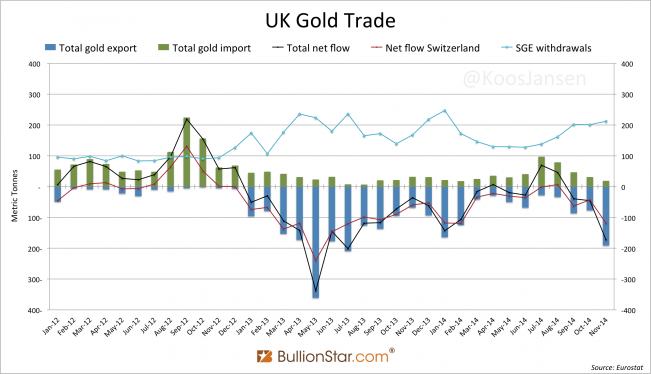 Cross-border trade statistics from around the world are slowly being released and all data signals elevated gold exports to China, matching strong SGE withdrawals. Total Chinese gold import 2015 is likely to transcend 1,350 tonnes of gold. Across the pond at the COMEX gold futures exchange in New York there is a lot less physical gold going through the vaults. Year to date COMEX deliveries have reached a mere 40 tonnes. Though, in my opinion comparing COMEX deliveries to SGE Withdrawals is meaningless. Frequently I receive inquires from gold investors around the world that like to verify their Chinese gold demand numbers. Some of the numbers they present are totally outrages, ranging from 20 to 60 tonnes of Chinese gold demand a day. Often, this is based on a misunderstanding regarding the term “delivery”. The same misunderstanding explains why we can’t compare COMEX deliveries to SGE withdrawals. 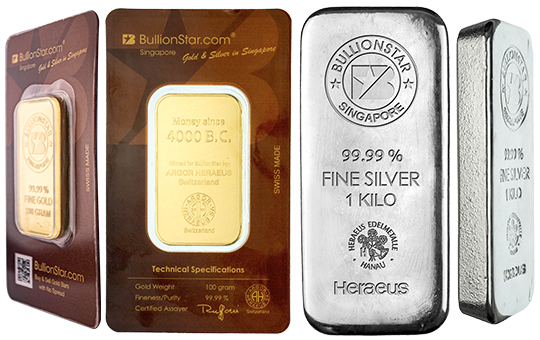 On any gold (futures) exchange in the world “deliveries” reflect the amount of physical gold that traders prefer to hold over a derivative contract, which requires the long contract holder (buyer) to pay the short contract holder (seller) the notional value of the futures contract in full in a addition to the margin (down payment). When physical gold is delivered through a futures exchange this is not automatically dropped off at the buyer’s doorstep. The amount of gold delivered is the amount of gold inside the vaults of the exchange that changes ownership from a short to a long. 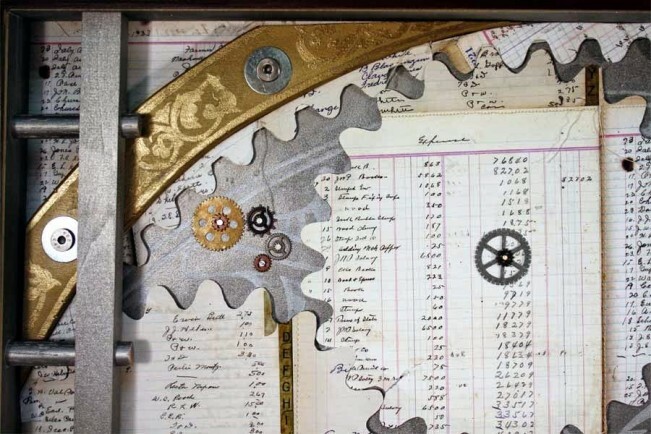 The process of delivery inside the vaults of the exchange can be repeated indefinitely, ownership of gold can change from person X to Y, from owner Y to Z, from Z to X, etc. 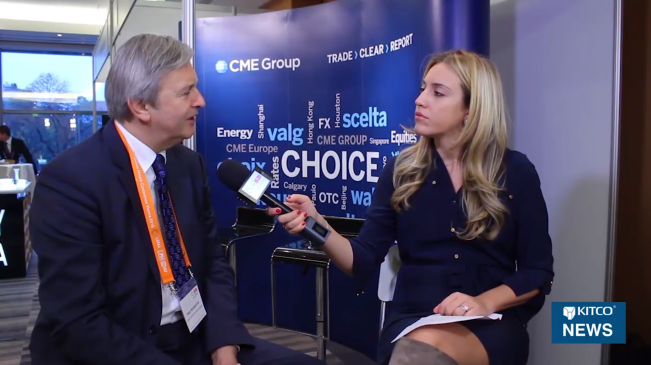 Delivery captures gold demand to a certain extent – traders at an exchange opting for physical gold instead of a derivative contract – but delivery cannot be compared to SGE withdrawals that capture wholesale gold demand for China. (SGE) Withdrawals reflect the amount of gold that leaves the vaults of the exchange. Because of the unique structure of the Chinese gold market (nearly) all physical gold in China is traded through the SGE and therefor SGE withdrawals are an indicator for Chinese wholesale gold demand. Note, foreigners cannot buy, withdrawal and export gold from the SGE system. International investors have little incentive to purchase physical gold on the COMEX (or any other futures exchange) as delivery and withdrawing metal from the vaults in New York is a devious process compared to buying gold at a local bullion distributor. International investors looking to buy physical gold are more likely to buy spot gold contracts or directly call a refinery. In China delivery of gold futures contacts on the Shanghai Futures Exchange is practically nil, as futures contracts are not a convenient way to buy physical gold. COMEX withdrawals are neither an indicator for (US) gold demand because the structure of the US gold market is different form the market in China. Consequently, it makes no sense to compare COMEX withdrawals or deliveries, to SGE withdrawals. Some gold blogs depict COMEX deliveries to resemble anything more than “change in ownership of gold in the vaults of the COMEX in New York”. 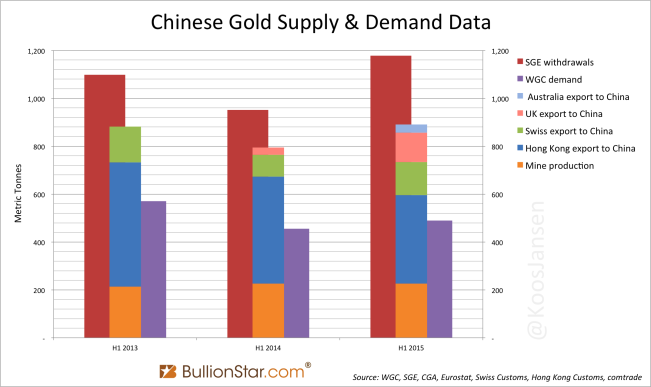 Furthermore, some look at SGE deliveries as if this has anything to do with Chinese gold demand – while only SGE withdrawals are an indicator that can be used to measure gold demand. At the SGE all Chinese citizens are able to buy spot gold through an SGE account that can be opened at a Chinese commercial bank. The spot gold contracts, officially called physical contracts in the SGE rulebook, which are offered by the SGE are Au99.5, Au99.95, Au99.99, Au100g and Au50g. 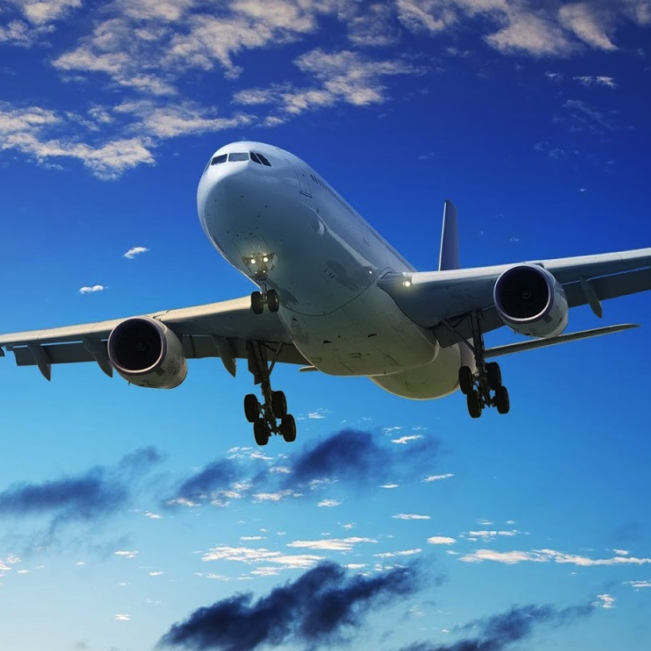 These physical contracts are not derivatives so the buyers and sellers do not have the option to take or make delivery; change in ownership of the metal is mandatory when the contracts are traded. Physical contracts can’t be traded on margin and when they are exchanged the physical gold always immediately changes hands. The SGE also offers spot deferred contracts, which can be described as futures contracts without any predetermined delivery date. Every day traders of SGE spot deferred contracts have the option to take or make delivery. 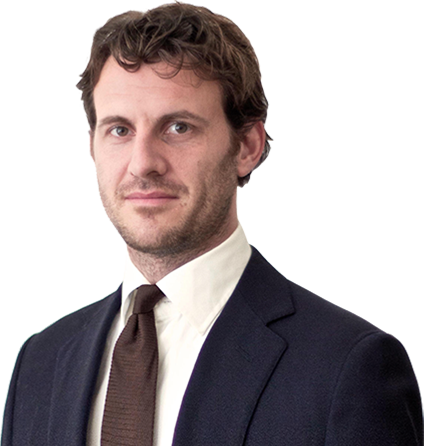 The spot deferred contracts offered by the SGE are Au(T+D), mAu(T+D), Au(T+N1) and Au(T+N2). On the English website of the SGE we can see the delivery volume of the spot deferred contracts in the daily reports – click here to view. Let’s have a look at an example, below is the daily report of 9 November 2015. Delivery volume of SGE spot deferred contracts on 9 November 2015 was 43.248 tonnes, counted bilaterally. We can see the spot deferred contracts show delivery volume and the physical contracts not. The delivery volume reflects the amount of physical gold in the SGE vaults that has changed ownership between traders of spot deferred contracts; it has nothing to do with Chinese gold demand. Though, this delivery volume is erroneously used by some to measure Chinese gold demand. Also important to mention is that this delivery volume on the SGE is counted bilaterally. So, if one contract is delivered (1 short hands over gold to 1 long) the volume will show “2” (1 short + 1 long). In contrast, COMEX delivery is counted unilaterally (“1” contract delivered means 1 short hands over gold to 1 long). In the example above SGE delivery volume is 43.248 tonnes, this volume would be displayed on the COMEX website as 21.624 tonnes. SGE withdrawals are only published in the Chinese weekly reports. Below we can see a screen shot of the most recent report. The number framed in red is the amount of gold withdrawn from the vaults in the current week denominated in Kg’s counted unilaterally (46.5651 tonnes in between 26 – 30 October 2015). The number framed in blue is the amount of gold withdrawn from the vaults year to date (2,165.4422 tonnes) counted unilaterally. The misunderstanding regarding COMEX deliveries versus SGE withdrawals is fuelled by some blogs that disclose SGE withdrawals labeled as SGE deliveries. Confusing readers to think deliveries are an indicator for demand. While, deliveries are not the same as withdrawals. 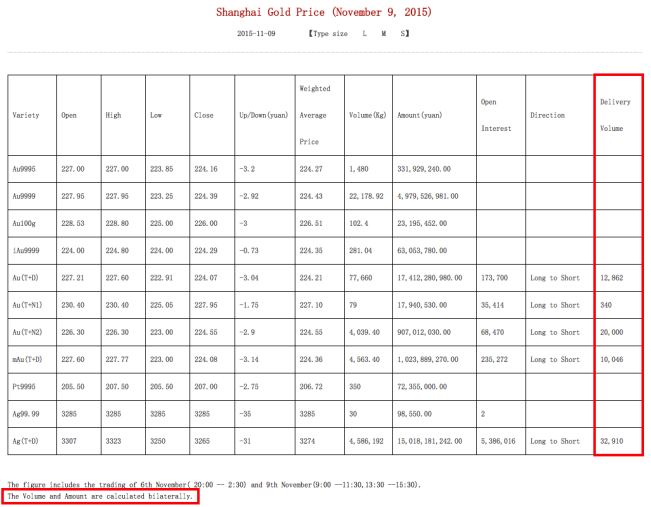 Debunking GFMS’ Gold Demand Statistics Shanghai Gold Exchange Physical Delivery 1750 tons YTD China Continues To Drain Global Gold Inventory SGE Withdrawals 29 MT In Week 16, YTD 635 MT China’s Secret Gold Supplier Is Singapore How The World Is Being Fooled About Chinese Gold Demand Dutch Central Bank Tight-lipped About Gold Policy Why Austria Is Repatriating Gold From London SGE Withdrawals Equal Chinese Gold Demand, Part 3 China Gold Import Jan-Sep 797t. Who’s Supplying? 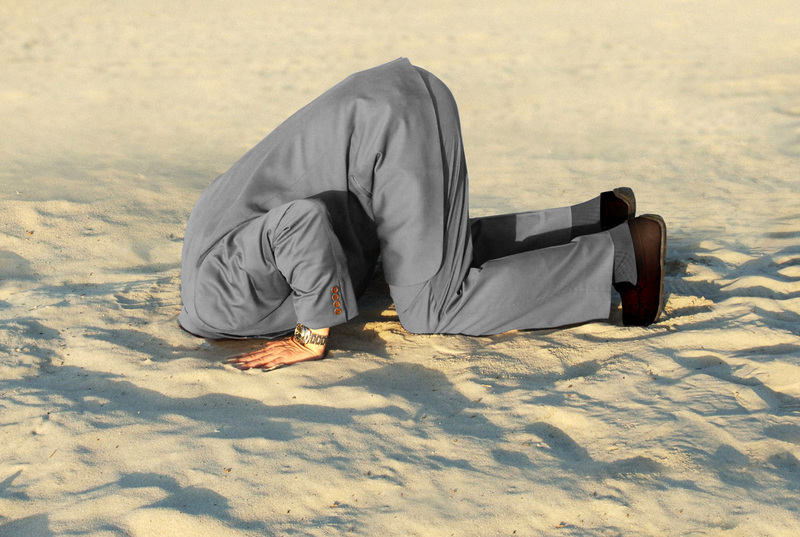 Hong Kong – China gold trade yearly Audits Of US Monetary Gold Severely Lack Credibility Unprecedented Total Chinese Gold Demand 2013 Second Thoughts On US Official Gold Reserves Audits How Much Gold Is China Importing And Does It Still Correlates to SGE Withdrawals?